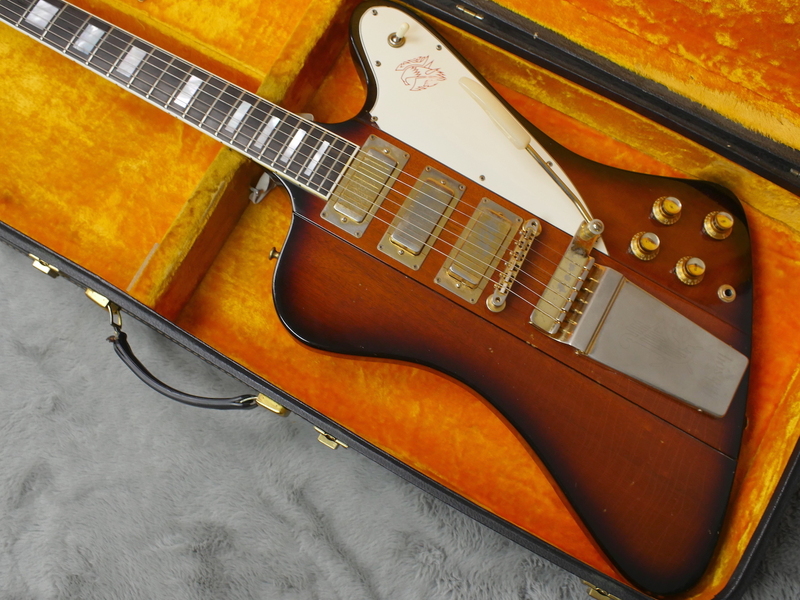 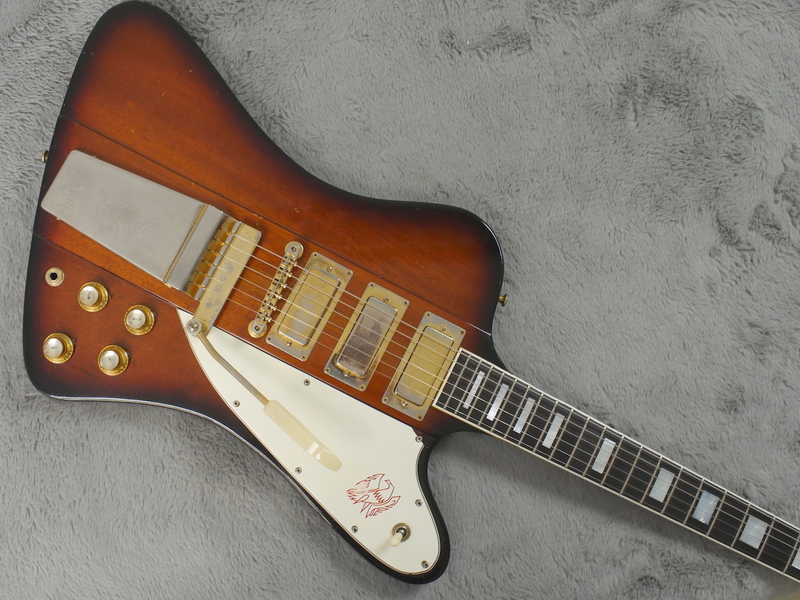 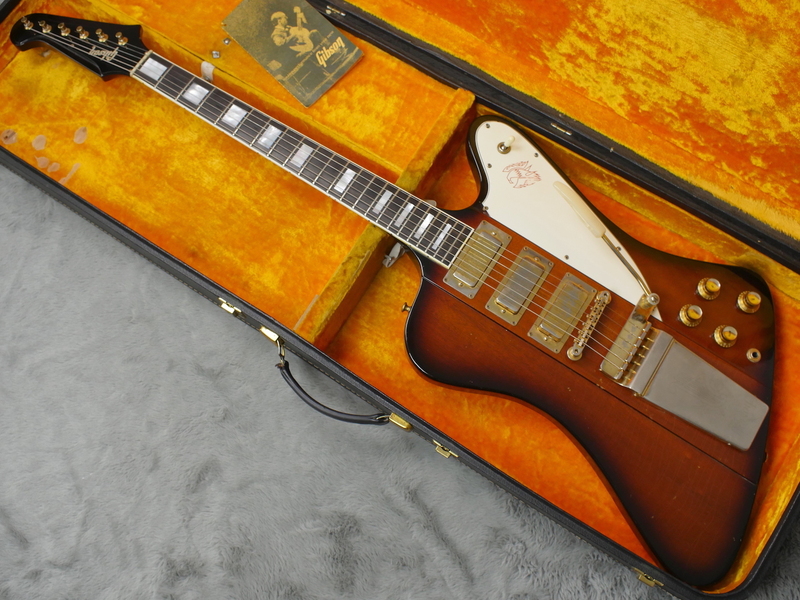 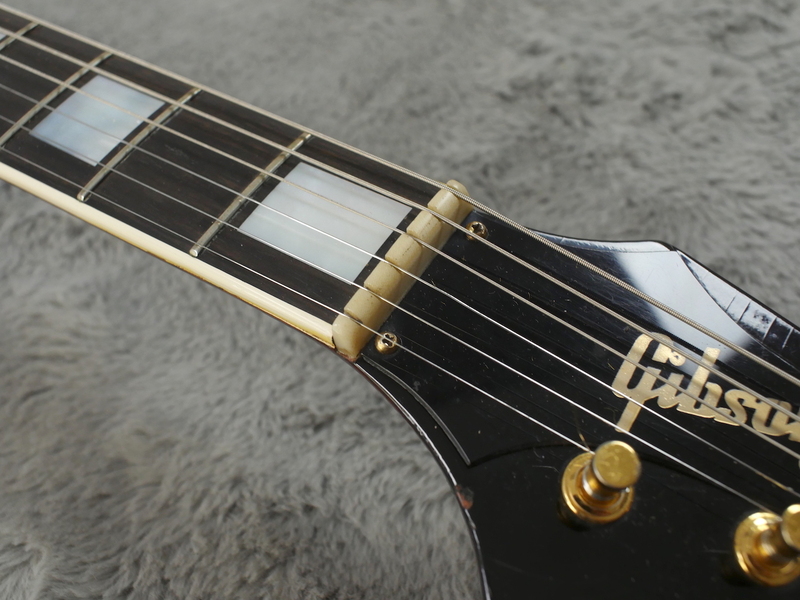 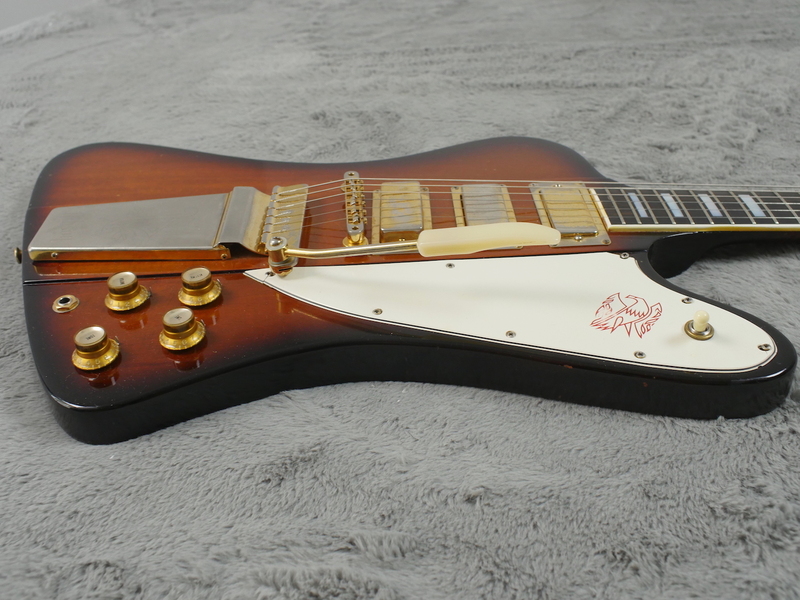 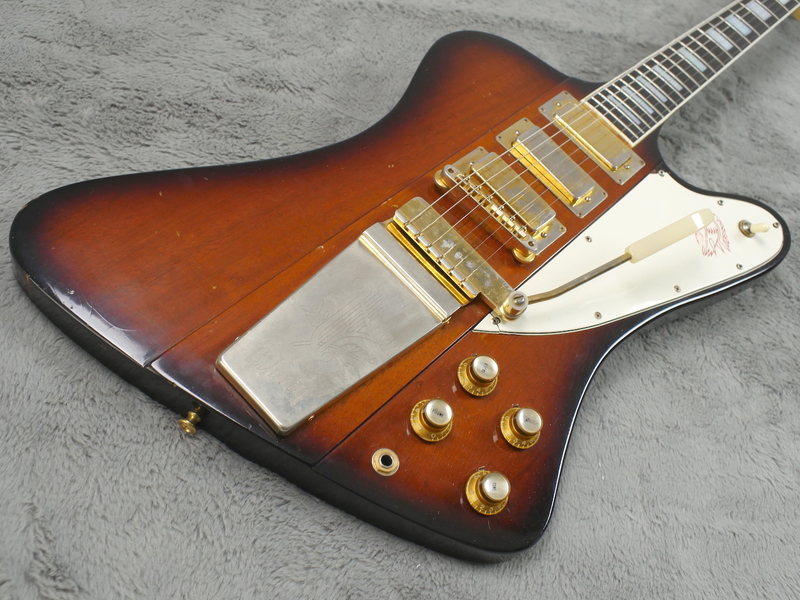 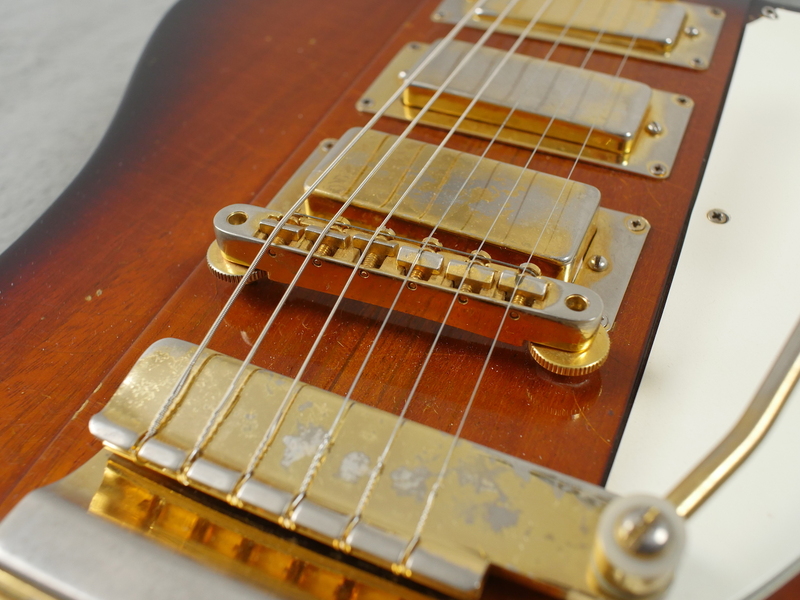 Rare, reverse body 1964 Gibson Firebird VII with an even rarer neck with no breaks... Wow! 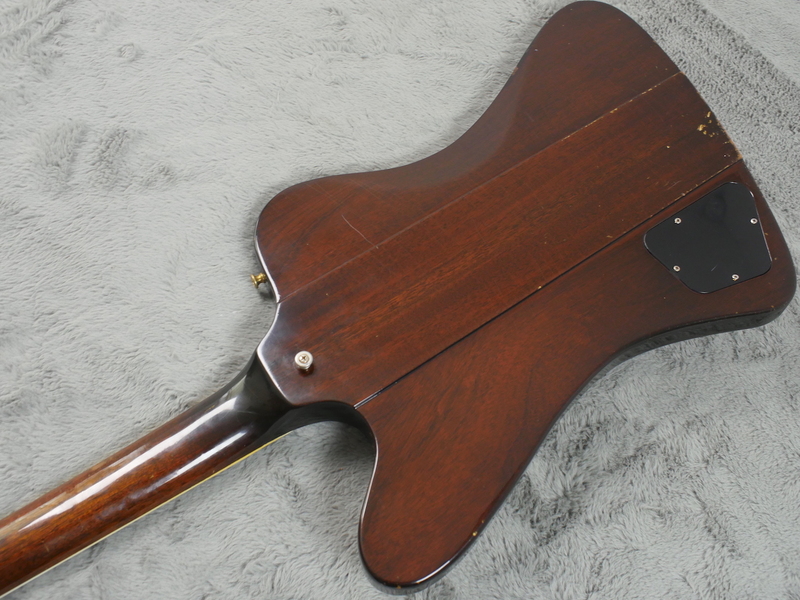 This is a rare guitar in two ways. 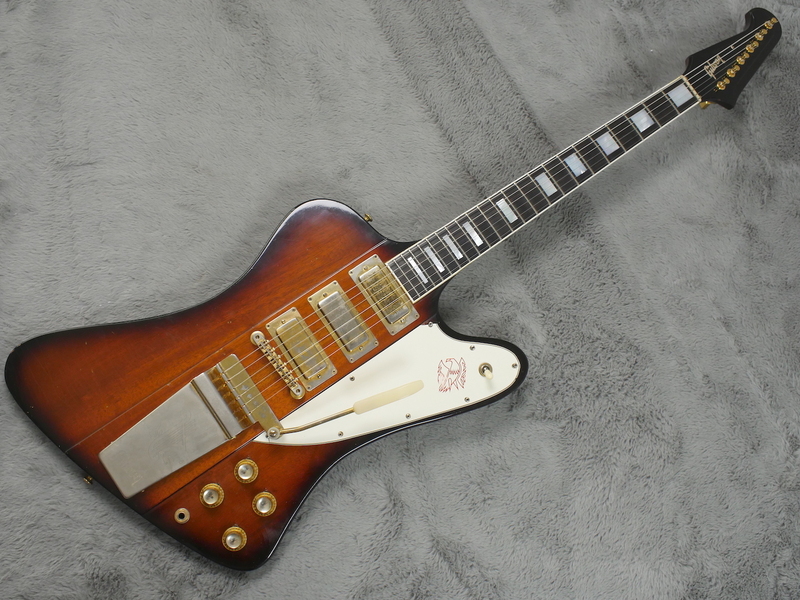 Firstly, it is a classic, reverse body Gibson Firebird VII and you do not see many of these, top of the range, Firebirds. 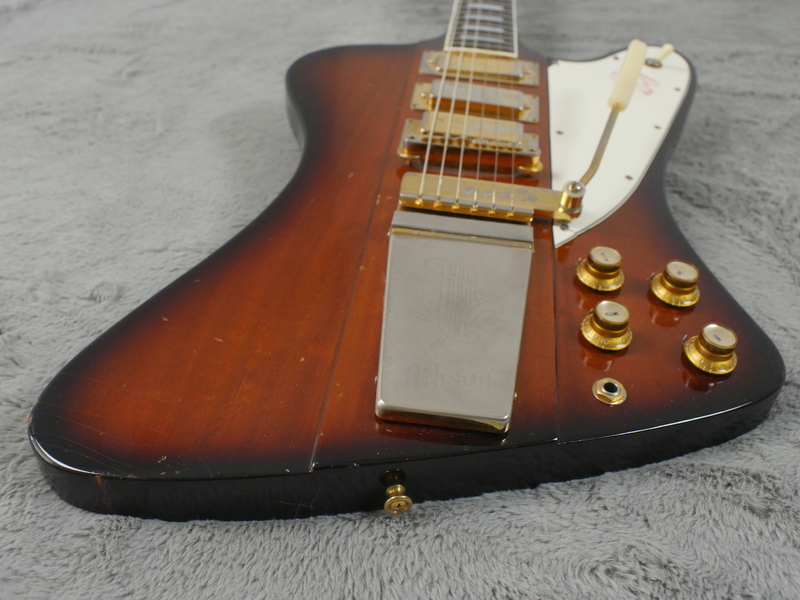 The second reason it is a rare beauty is because it has survived the last 54 years without any kind of headstock or neck break and for anyone who knows these reverse body Firebirds, will know that this too is an extremely rare thing to encounter..
All original with the exception of refret (I think) previous owner swore it had not had a refret but we think it has had one, albeit a really fine job and nearly perceptible with frets that are ever so slightly larger then the ‘fretless wonder’ frets it came with new. 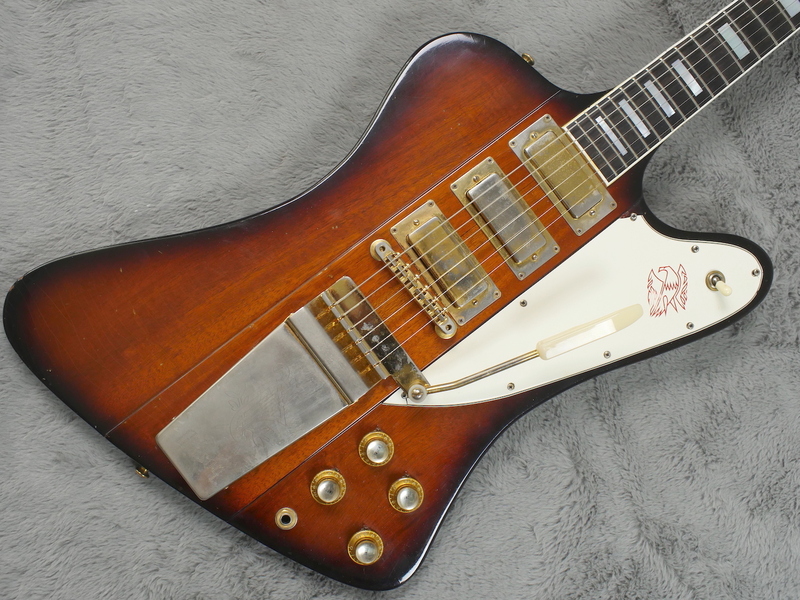 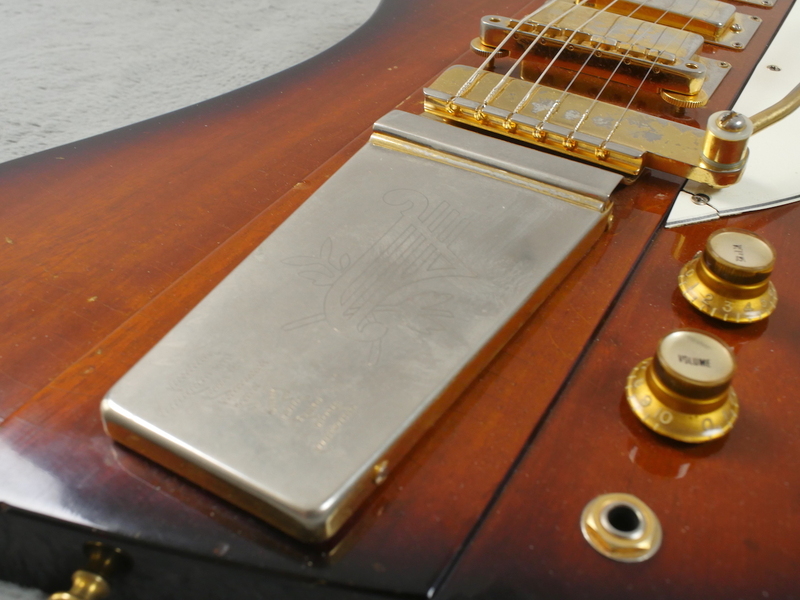 The result of this of course is it plays brilliantly and even has really good sustain which most Firebirds struggle with. 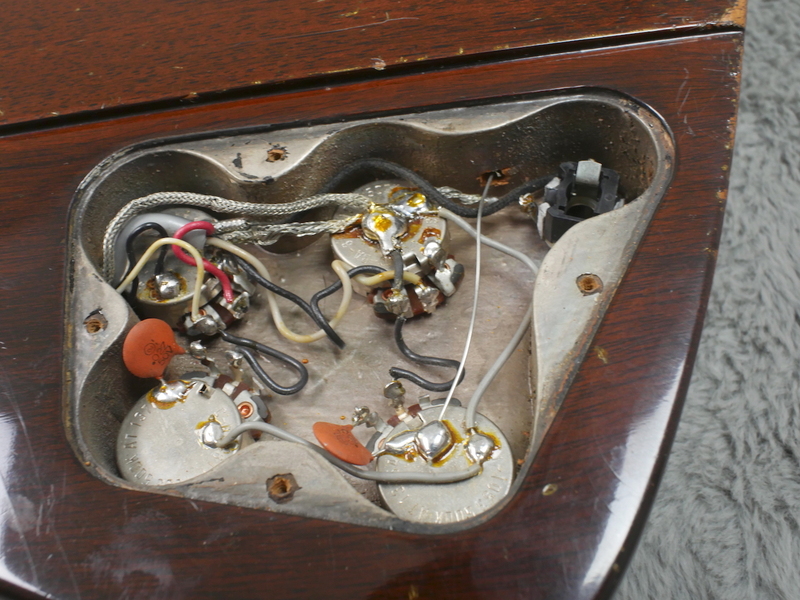 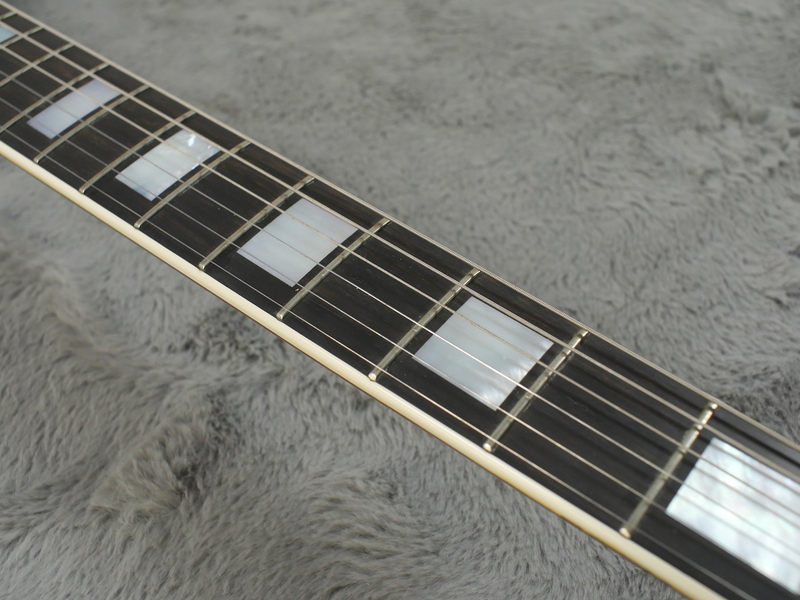 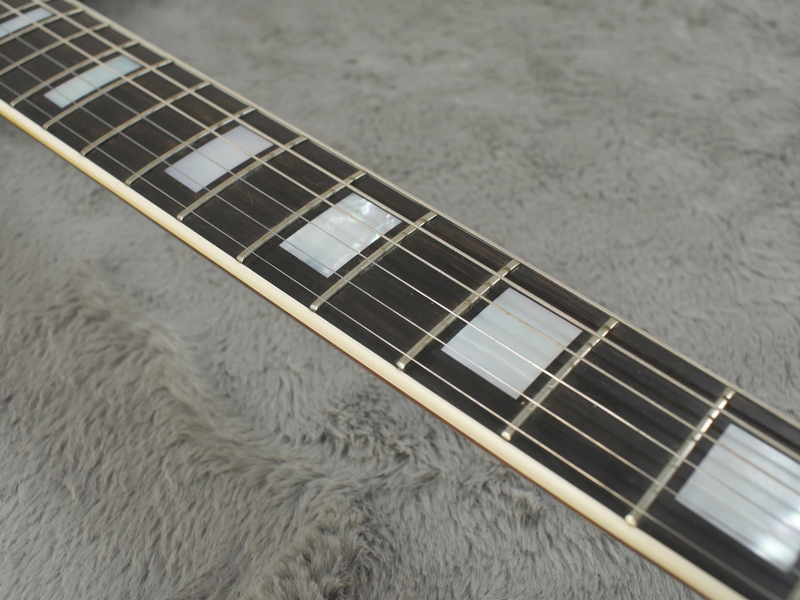 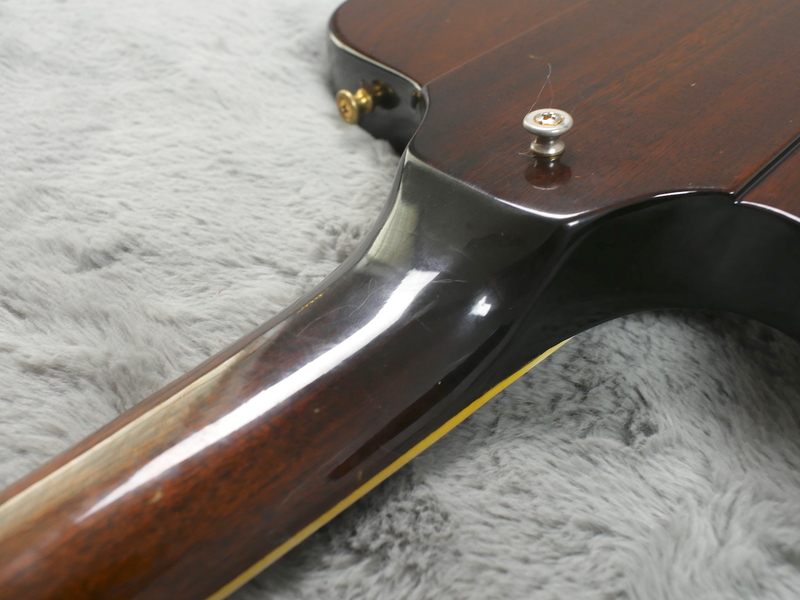 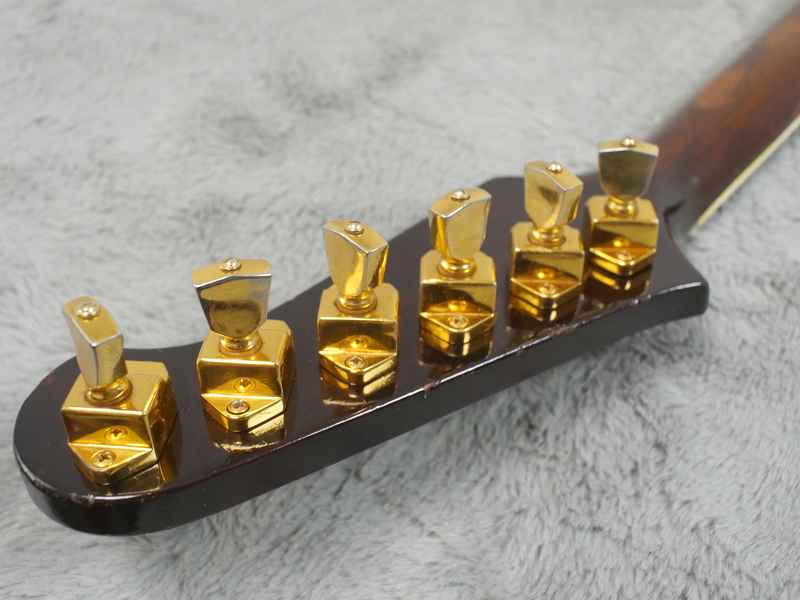 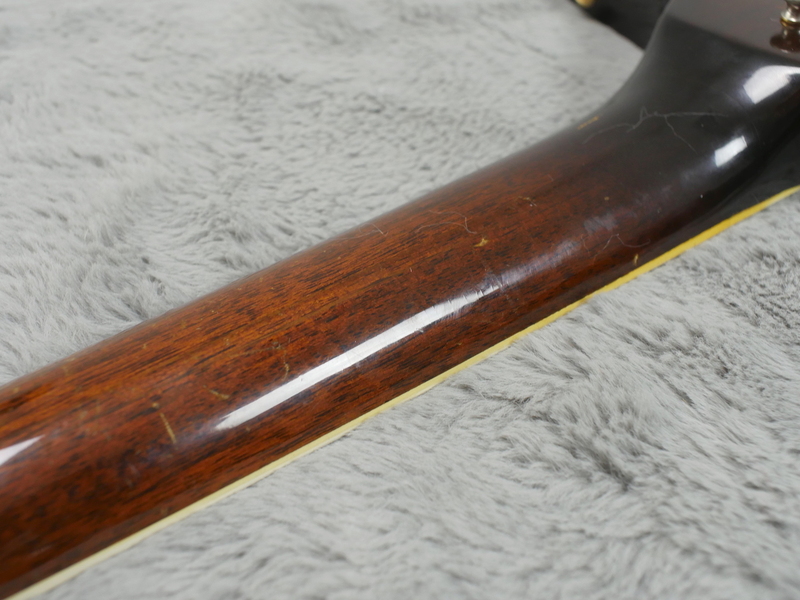 It has also got an extra strap button mounted on the neck heel, aside from that, everything we can see it totally correct to the guitar including the undisturbed solder and all the hardware. 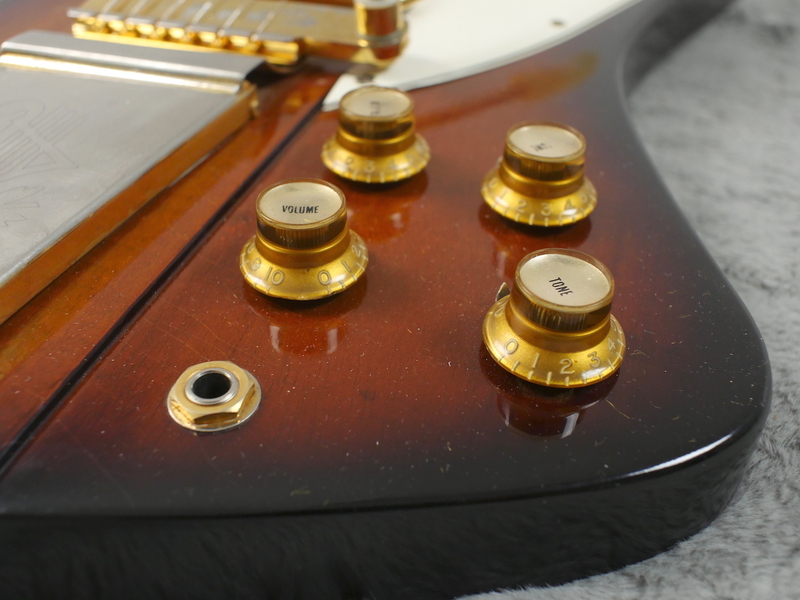 Even the pickguard has minimal cracking. 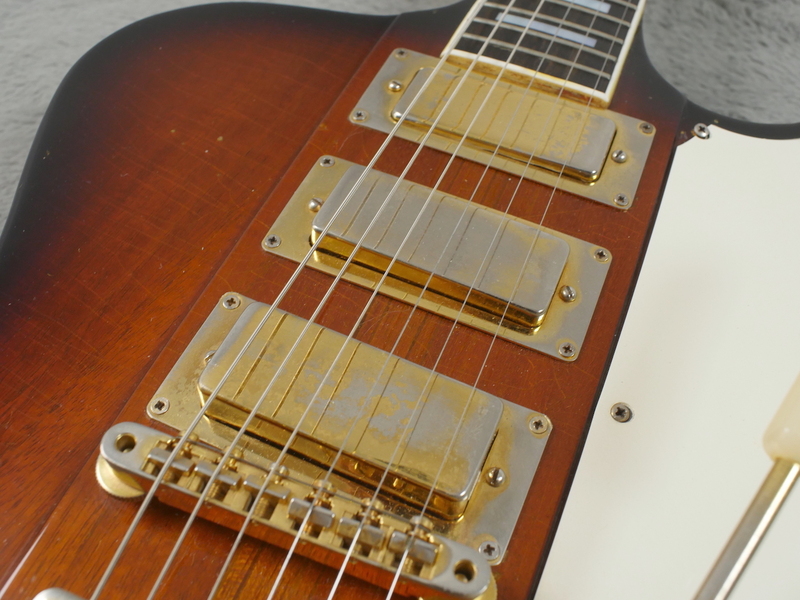 All three, pickups sound cool and bluesy and evenly balanced. 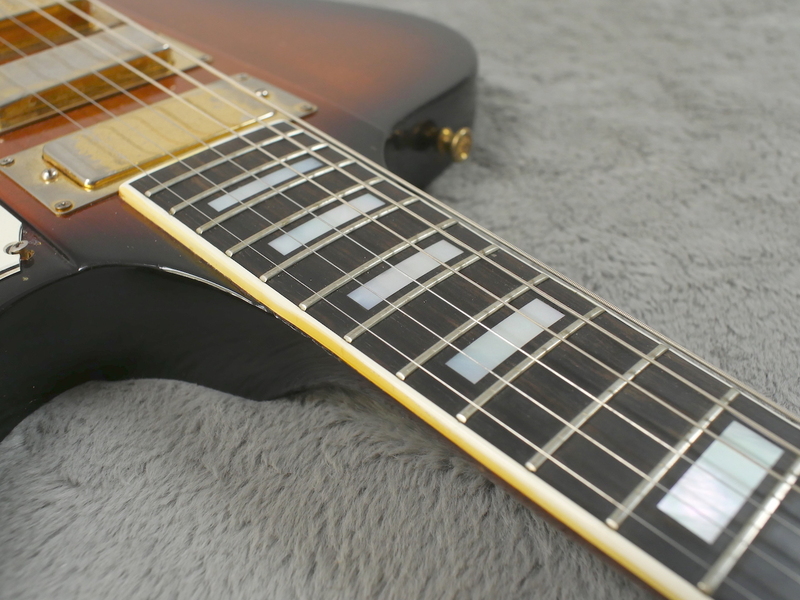 The middle position provides a factory, out of phase sound that is unbeatable for funk type rhythms and the neck and bridge pickups provide the usual Gibson vintage bite and soulful warmth. 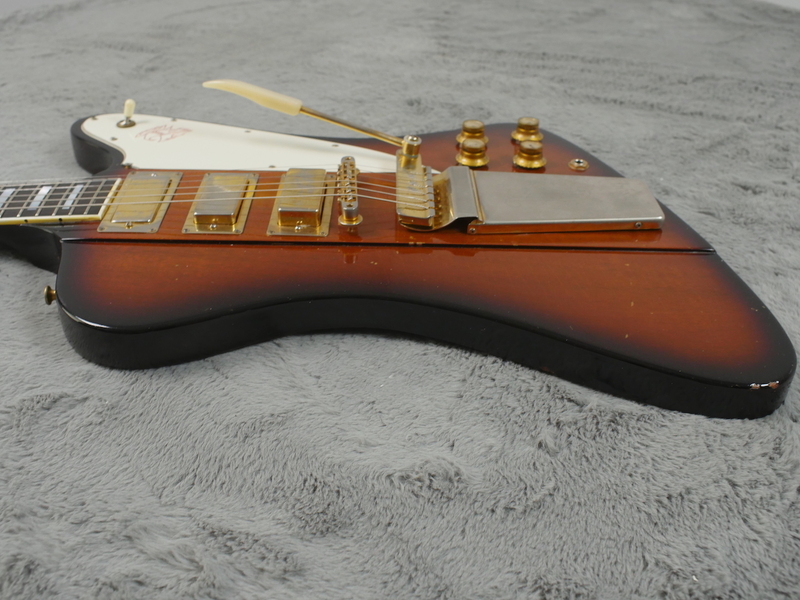 It has a few dings here and there, it is not a museum piece but these reverse body Firebirds generally do not stay mint for very long however this one is just about as clean as any we have had here and is probably the best player of the lot. 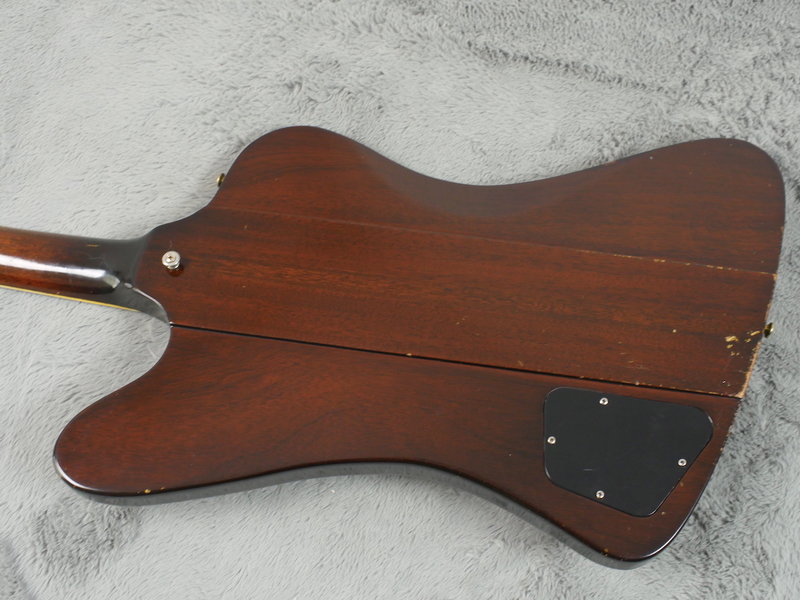 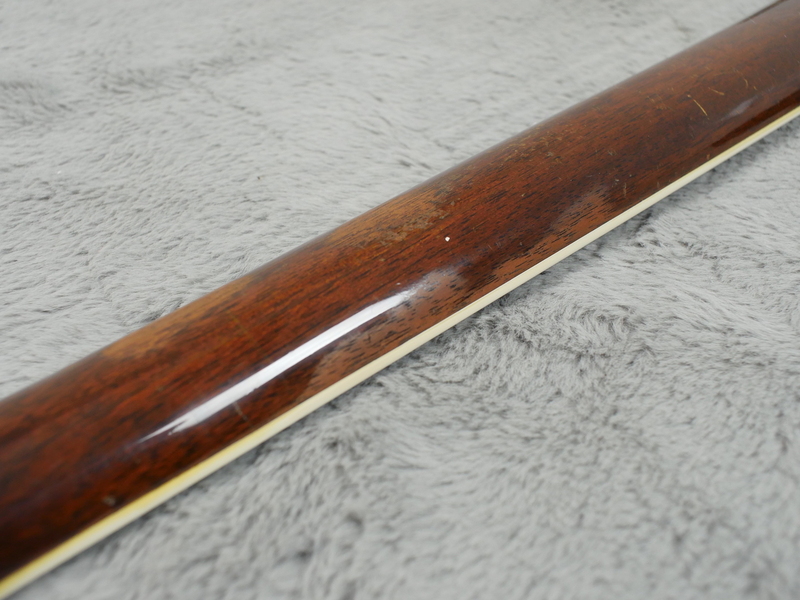 Included is the original large oblong case that is like the guitar, in excellent condition too. 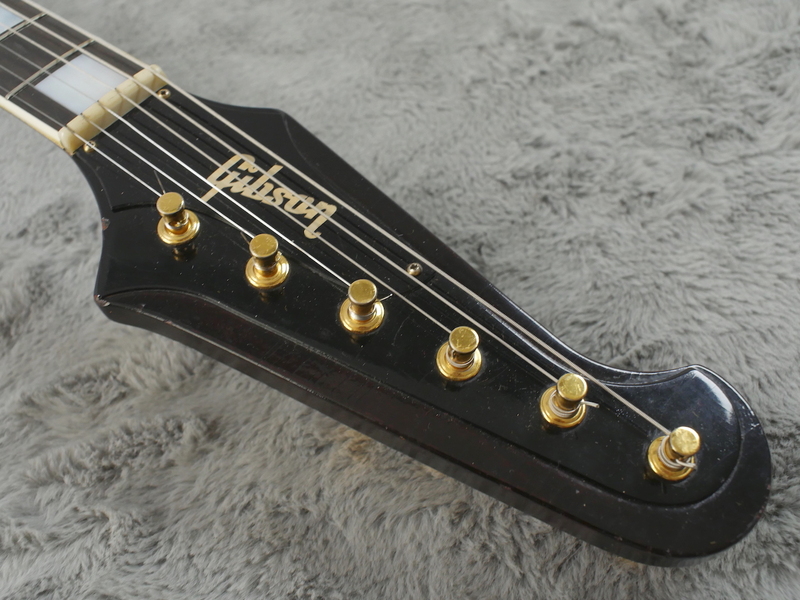 It also includes an original Gibson tag which is a nice thing to have with the guitar.